We own five buildings, four in the International District, and one in Rainier Valley, with nearly 300 units that provide safe, affordable, healthy homes for low income families and individuals. All of our housing projects are wrapped into a larger community development strategy to strengthen neighborhood fabric and cultural identity, and to prevent displacement. Uncle Bob’s Place, our upcoming housing project, will include 104 units at the site of the Four Seas Restaurant in the historic core of Chinatown. We are pleased to be partnering with the Chan family, longtime owners of the Four Seas Restaurant, who will own the ground floor commercial space. Deepest gratitude to Sharon Tomiko Santos and the Santos family for allowing us to honor their loved one and ICDA’s beloved leader, Bob Santos, with this project. Under this program, about 1,600 people were assisted with housing counseling services. At least 85% were provided with financial assistance to attain, sustain and or maintain housing stability. We serve everyone especially the most vulnerable -families, single adults, homeless and seniors who are of low income and limited English proficient. Our program’s multilingual staff speak at least 12 different languages and have the capacity to serve immigrants and refugees. 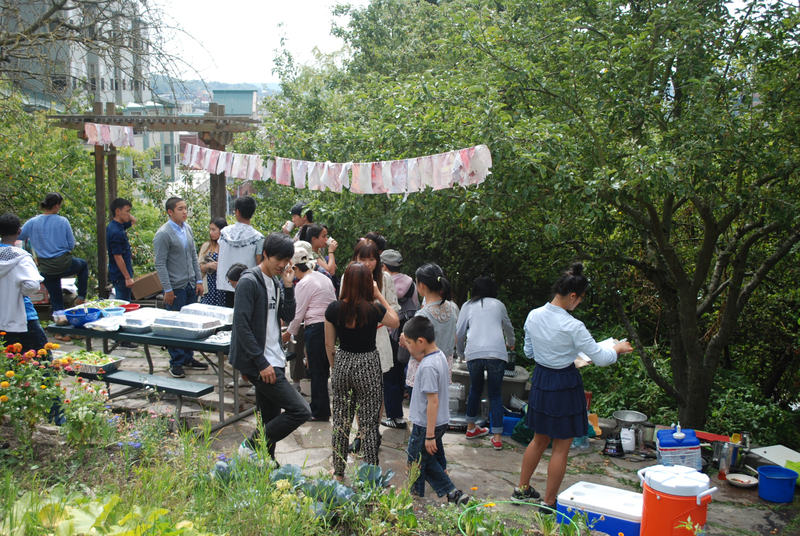 Our community garden, created in 1975 by volunteers and activists, hosts 68 gardeners, mainly first generation, limited English speaking immigrant and refugees. It is a necessary source of food security, culturally relevant fruits and vegetables, and health and happiness to the immigrant and refugee population in the CID. Thousands benefit from the garden. InterIm CDA’s Danny Woo Community Garden. Our youth leadership program engages Asian Pacific Islander and other youth of color in year-round programming that trains and develops future generations of community advocates. WILD provides opportunities for 100-120 youth, ages 13-19, to lead neighborhood projects related to environmental justice, intergenerational learning and civic engagement. This program aims to increase the skills of our residents in the CID through access to education and information for their health and wellbeing through health education, financial literacy, ESL, computer literacy, and civic engagement. Approximately 600 low income residents who are non- English speaking or limited English speaking will have access to this program. This is the first time that this innovative approach has been implemented in the CID and if successful will transform the lives of the residents and their children. We work with our community to advocate for systems and policy change. We encourage voter registration through voter education, community engagement and education so that our communities can be civically engaged. We organize around issues of displacement, affordable housing, and other important issues that affect our community. We also engage with our community and develop strategic partnerships with other community organizations to effectively shape local and regional policy and planning initiatives.